360° Image Viewer for Joomla - Magic 360. Top Rated Joomla 360 spin extension. We all admire a 360 spin. Get spin, zoom & full-screen all in one tool. Choose from 23 customisation options. Superb mobile experience to delight your shoppers on their mobiles. Give your Joomla visitors the leading dedicated 360 image viewer plugin - Magic 360! This beautiful Joomla 360-degree image viewer is the best extension for displaying a series of photos as a seamless spin. Magic 360 can be used on any page of your Joomla site, including VirtueMart product pages. Perfect for a supreme online shopping experience - spin, magnify and full-screen - an incredible 3-in-1 image viewer. 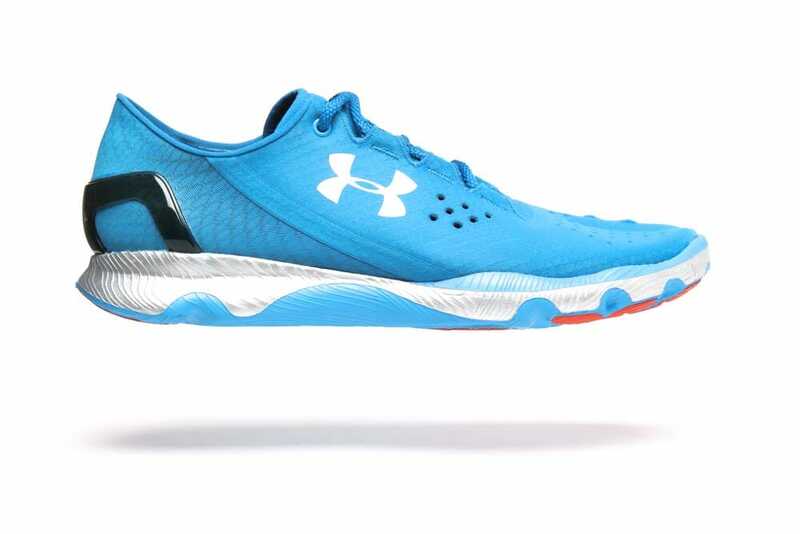 The product rotation works with any number of images and supports both 3D spins and 360 spins. As a rough guide, 36 images per spin usually feels good, though you can use however many you have. Fewer images will load faster, more images will make a smoother spin. Easy to install in just 2 minutes, you can easily choose between 37 refinements, to make this 360 spin Joomla component perfectly fit your online store. Just follow the easy instructions below. Whether you choose this Joomla image component or VirtueMart product spin, download the free trial and bring your Joomla site to life. Help your visitors examine goods properly in gorgeous 3D views. Magic 360 has been constantly improved since 2009 for perfect visualisation. It is fully compatible with all Joomla versions - from 1.5 to 3.x. Still, if your theme isn't perfect immediately - please contact our friendly support team for fast help. This Joomla 360 spin extension works perfectly with 360 spins and 3D spins from CAD models. Name the module, add captions, generate a shortcode and you are ready to insert beautiful 3D view wherever you want. Don't forget to add SEO-friendly URLs to instantly gain some points in Google. Don't write a single line of code. Magic 360 is highly tweakable from its own Joomla settings page. Point and click to adjust 35 options if you want to change the default settings. Our smart tech team works on Magic 360 restlessly, to make it look magnificent on all devices - mobile, tablet, and desktop. Mobile users will love your site for easy, intuitive gestures and fast download speed. 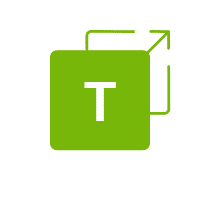 Best solution for integration 360 product reproduction on your site!!! Amazing! Download the Magic 360 component for Joomla content (free and fully functional demo version). Insert HTML code for Magic 360 in any article or content area. Insert a class of Magic360, rows, columns and other settings you wish. 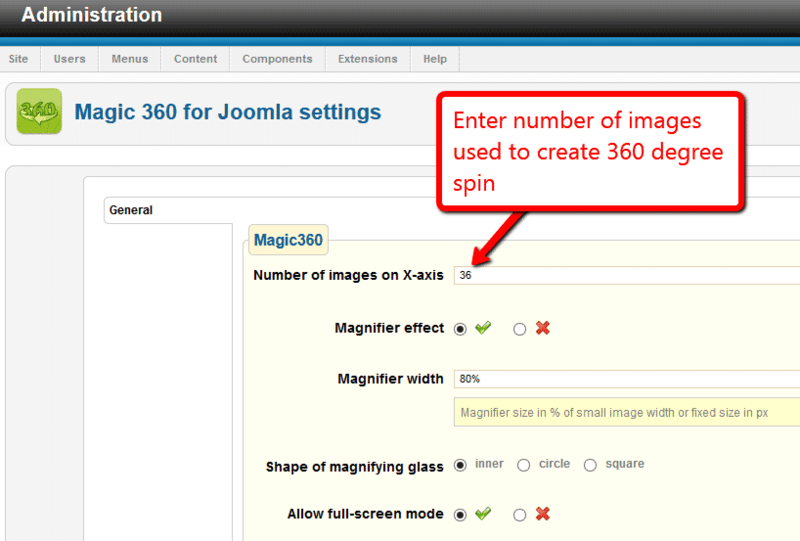 All the default settings can be adjusted on the Magic 360 Settings page Components > Magic 360 for Joomla. To create a 3D spin that rotates up/down as well as left/right, check out our Multiple rows example. 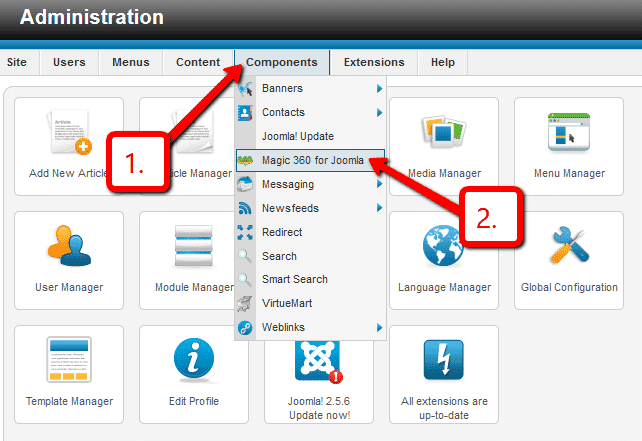 To customize Magic 360 default settings, go to Components > Magic 360 for Joomla. If your spin is not working, check the 'Number of images on x-axis' option matches the number of images used to create your spin. Check out how to name your images and how to reference your images. Thanks for trying Magic 360 on your Joomla site! What did you hope Magic 360 could do? How can we improve it? Let us know, we're always improving our tools based on customer feedback. Go to: Extensions > Extension Manager > Manage > Add tick in box next Magic 360 for Joomla > Click 'Uninstall'.